Since last week’s Jordan Art piece got such a good response, I figured I’d share another prime UDA Jordan piece with you. I doubt the photos can do this one justice after seeing it in person, but I’ll try. 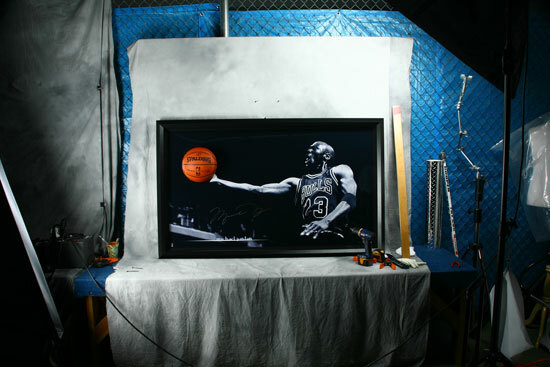 This is an autographed “Breaking Through” piece featuring Michael Jordan. The ball you see here actually busts through the frame. 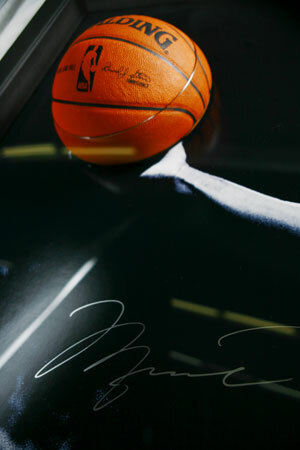 And a better look at the autograph while I’m at it. You may have seen similar pieces from UDA in the past, but this one seriously stands out. It’s big, the design is sleek, and it really has a lifelike feel that dominates a room. 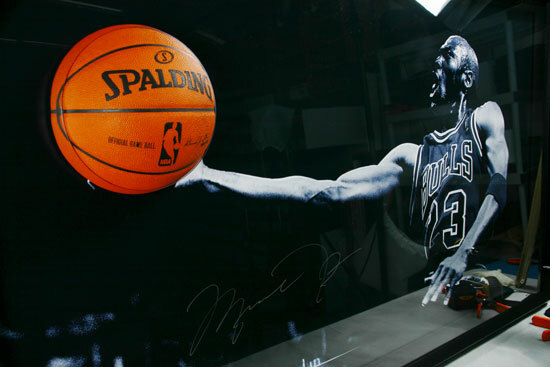 If you’re a big fan of the Bulls, Jordan or basketball in general, it’s definitely a great centerpiece for your home. Click here to check it out in the online store! Being a long time Jazz fan, I hate the Bulls! With that said, I have to say that is a real nice piece of work!